A MAN IN his 30s has been charged in connection with an international money laundering operation involving over €1.1 million in funds. 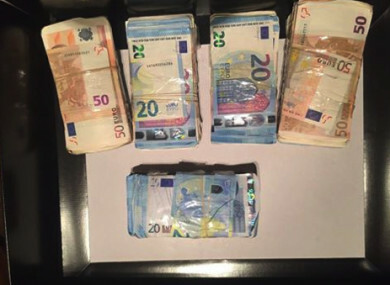 The 33-year-old was arrested at around 8am this morning in Mulhuddart, Dublin 15 by members of the Garda’s Money Laundering Investigation Unit and the National Economic Crime Bureau. The alleged funds involved in the operation are believed to be the proceeds of an international invoice re-direction fraud perpetrated against a Danish company in May 2016. The man was taken to Blanchardstown Garda Station following his arrest, and was charged in connection with the alleged fraud before an appearance at the Central Criminal Court. Email “Man (30s) arrested in connection with €1.1m international money laundering operation”. Feedback on “Man (30s) arrested in connection with €1.1m international money laundering operation”.